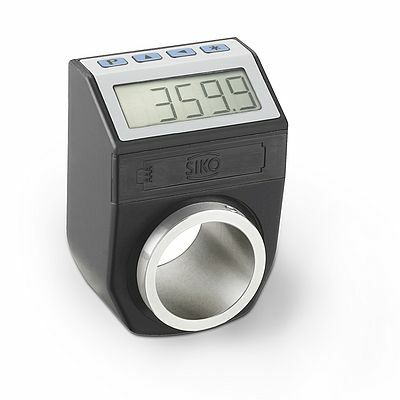 Battery-operated, the DE10P electronic position indicator, from SIKO, features freely programmable display parameters. The programming can be accomplished directly via keys on the indicator to match the particular application without the need for any additional equipment. A basic unit can, therefore, be used for different application, whereby, such relevant parameters as readout position, counting direction or display accuracy can be programmed directly on site. The indicator is based on a magnetic measuring principle which is resistant to shock, vibration, and dirt. It offers an IP65 protection and a hollow stainless steel shaft with up to 30mm diameter. The large 11 mm high digits ensure optimal reading in any mounting position.